Some of you may have seen my post on Facebook, yesterday—-I very much appreciated your thoughts and prayers for my 9-year old sister, Abigail, who had corrective eye surgery in both her eyes yesterday. She went through with flying colors and big smiles nearly the entire time (she’s almost always smiling) and is doing very well. In other news, today is Pi Day! I will admit that I love pie more than any kind of math. Onto this week’s Friday Finds! Enjoy! 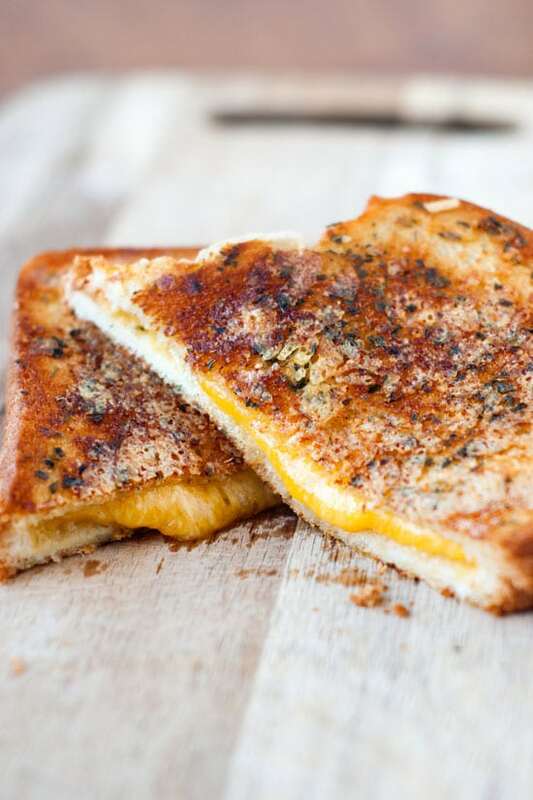 Crispy Garlic Bread Grilled Cheese Sandwiches by Heather Likes Food—Mind = Blown. Ribeye Steak Salad With Balsamic Vinaigrette by Joyful Healthy Eats—Simply gorgeous salad—I think I could just drink that balsamic vinaigrette. 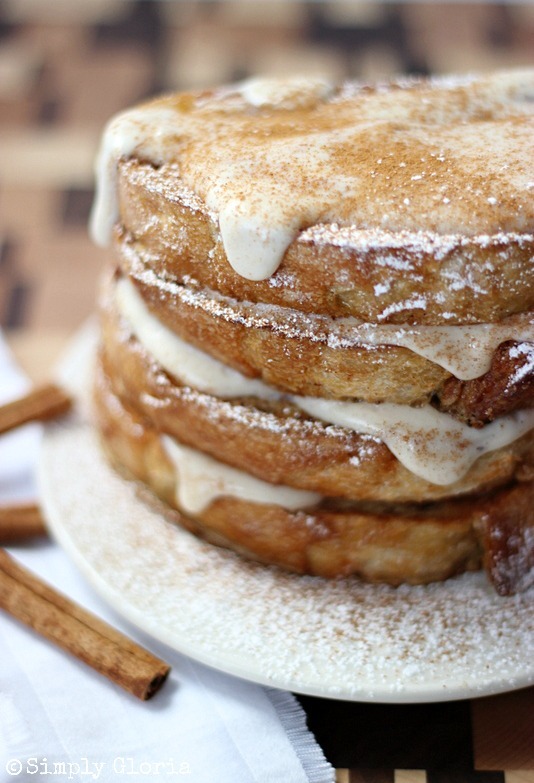 Cinnamon French Toast With Cream Cheese Glaze by Simply Gloria—I made french toast yesterday, but it wasn’t anywhere NEARLY as glamorous as this! Orange Ricotta Chocolate Chip Pancakes by Two Peas And Their Pod—I’m in love with ricotta pancakes. Have you tried them yet? You must! They’re the epitome of fluffiness! 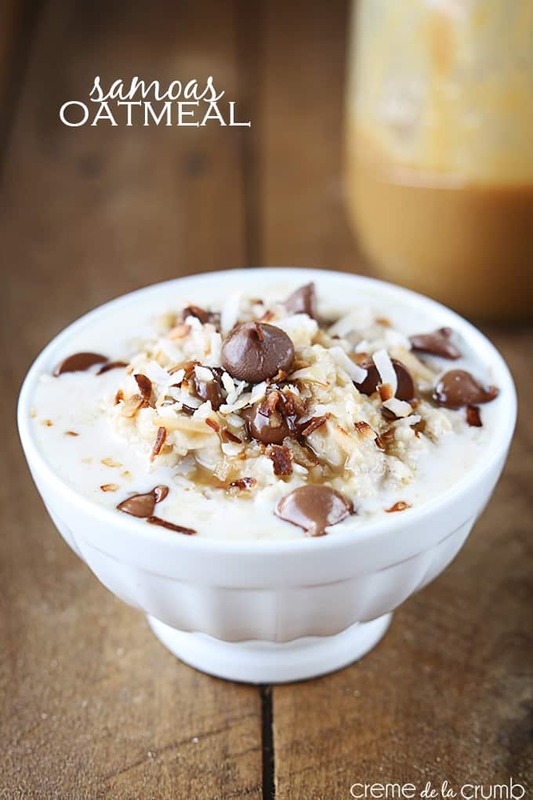 Samoas Oatmeal by Creme de la Crumb—Cookie flavored oatmeal? Sign me up! Thanks so much, Nancy! My sister is doing very well, thank you!